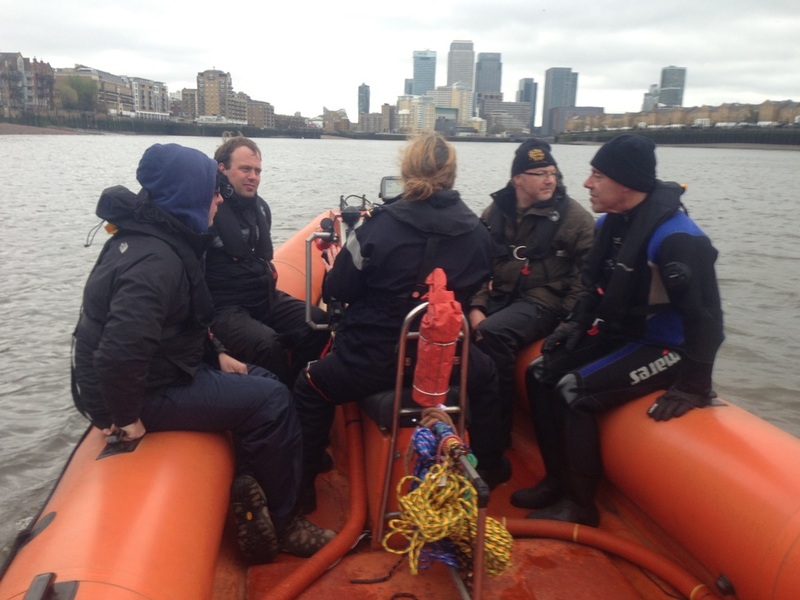 Clidive , in conjunction with the Maritime Volunteer Service City of London (www.mvscityoflondon.org.uk), ran its 3rd boathandling course within the space of a month on the 5th and 6th of April. This course was organised 6 months ago especially for BSAC Mainland Europe. 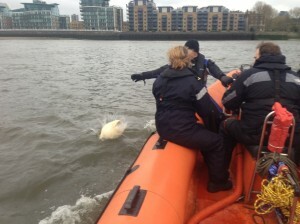 Antonio flew over from Germany to do the course and the rest of the student places were filled by local members from BSAC branches Clidive, St Albans and Bermondsey. 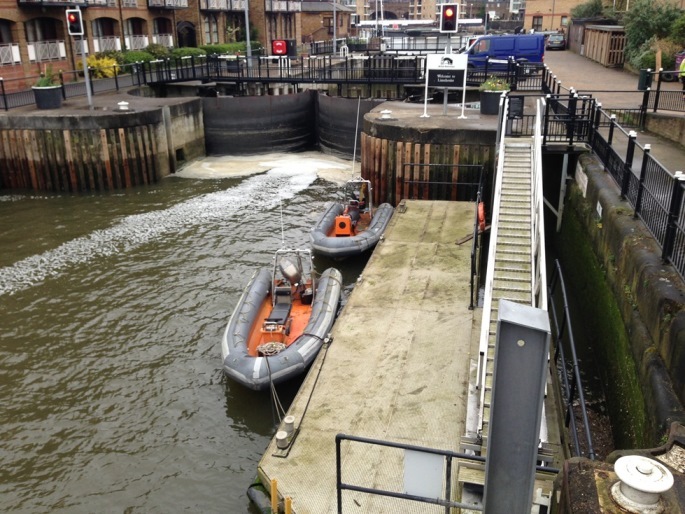 A change of venue for this course – run from Limehouse marina with the lock keeper very generously allowing us the use of their classroom, victualing facilities and pontoon available free of charge. 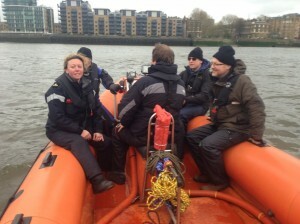 Day 1 started smoothly with theory lessons and both boats running well when moving them from HMS President to Limehouse. However, once the practical session started we had a few hiccups – 1 boat’s steering cable snapped (I thought “That’s fine – we only needed 1 boat this weekend, and I had brought a backup”). 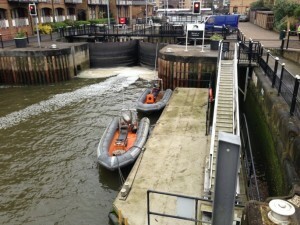 20 mins later, the other boat, straight from being serviced, had an issue with the throttle cable. This could have been a disaster – especially as Antonio was over from Germany especially. However, it was amazing to see how MVS units and BSAC branches rally around to support and within 10 mins of making some calls – 2 other boats were made available to allow the course to continue. Thanks to MVS Lower Thames for the offer of Annie. In the end, MVS member and BSAC TA special branch member Chris Arnall brought his newly acquired safety boat along to Poplar that evening and launched it ready for Sunday’s practical session. 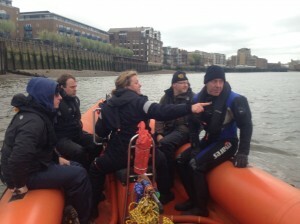 It was a blast from the past as it was the boat that Don Downer had purchased for his old dive club, WFSAC, 15 years ago. It was the boat Joli learned to drive a boat in. 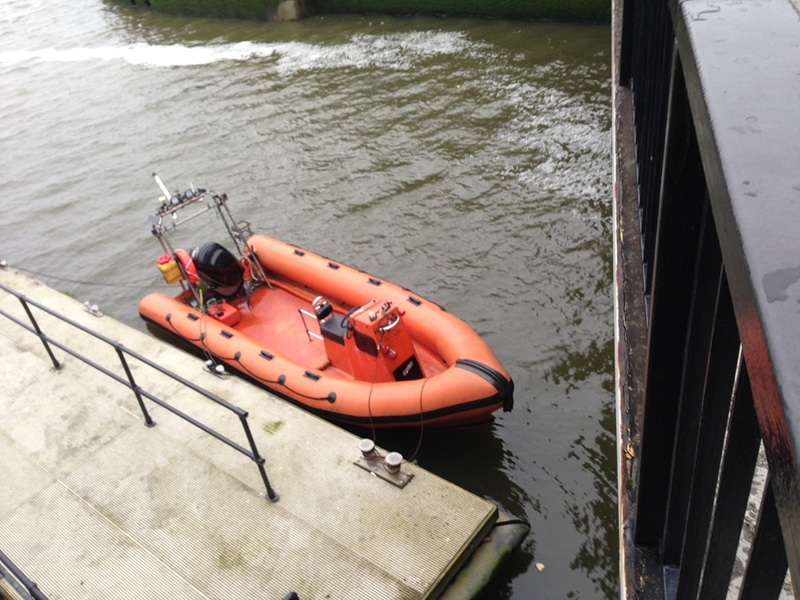 Wolf’s been recently refurbished and a 6.5m RIB with a 135hp engine, it was difficult to stick to the 12 knot speed restriction. She runs like a dream. However, Monday morning came emails from the Students thanking us for a great course and a fantastic weekend which makes it all worthwhile. We both felt a huge sense of achievement of overcoming whatever problems got thrown our way. One thing I’ve learnt over the years of running these courses, is that is doesn’t matter how much you prepare sometimes, something can still throw a spanner in the works. The important thing is learning to keep your cool, re-plan and find a way to make it work.